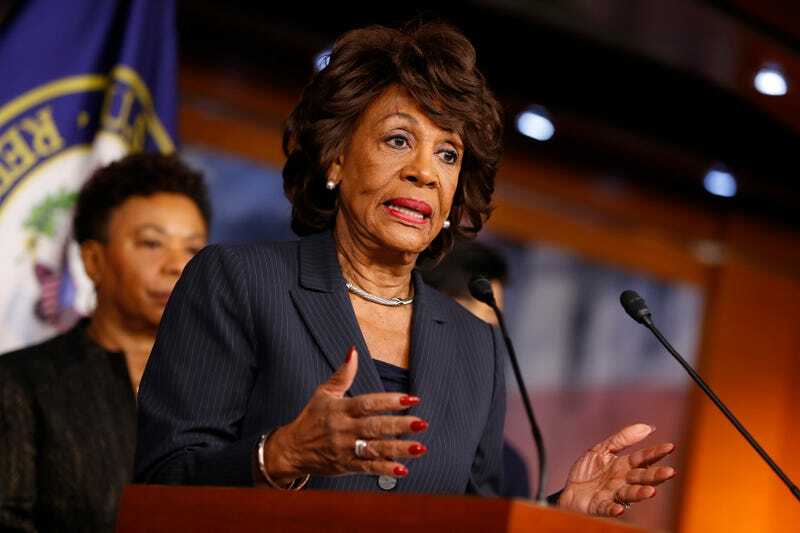 After tweeting last week that her “greatest desire was to lead Donald Trump right into impeachment,” Maxine Waters said Monday that Trump’s actions are leading him to possible impeachment. CNN reports that the California Democrat made her remarks to reporters at a news conference. Waters expressed concern about Trump’s travel-ban order, “the way he’s talking about Muslims” and his relationship with Russian President Vladimir Putin. In a later appearance on CNN Newsroom, Waters was asked to explain why she was mentioning impeachment just two weeks into Trump’s presidency. “First of all, just let me say, these are not normal times,” Waters said. “We have a president who has created chaos and division, so many questions about his conflicts of interest, lies about whether or not he’s separated himself from the businesses he claimed he would separate himself from, not showing his tax returns, putting his arms around Putin, defending Putin, working with the Kremlin. “I want to know, and a lot of people want to know, was there collusion between Putin and the Kremlin and this president as they hacked our DNC and our DCCC and some of us” she continued. “We want to know how deep does that go. House Minority Leader Nancy Pelosi, who was also at the news conference Monday, said that impeachment would be an issue only if Trump broke the law.